Squarespace is a software as a service-based content management system-integrated website builder, blogging platform, hosting service, commerce platform, and domain name registrar. 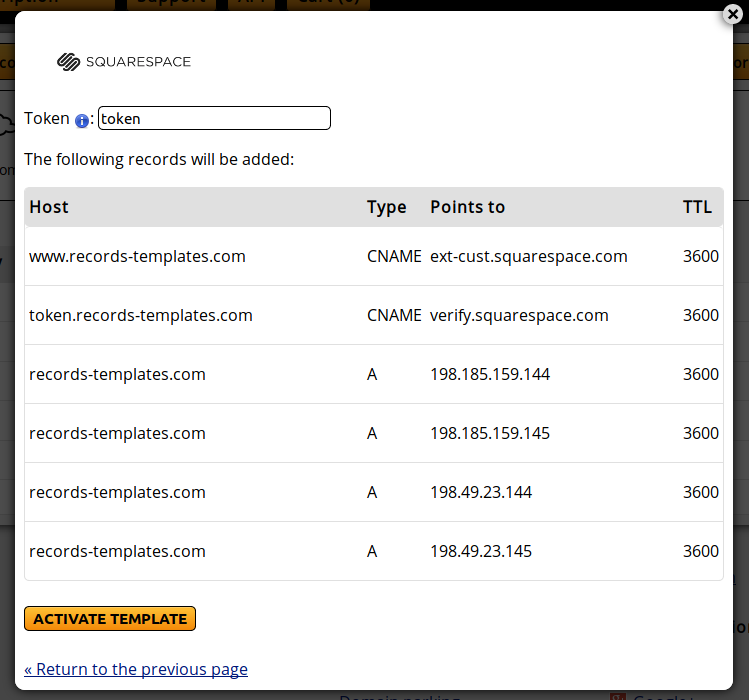 One of the easiest ways to use our services and Squarespace is using our Records Templates. They allow you to create the necessary records in your Master DNS Zone. From the orange boxes, click on "Squarespace".